Seeing is Believing 10/9: New Nas, Murs & Mike Jones Vids! My least favorite track from the powerful Untitled album, yet it’s still a decent track. This is the most appealing track off the album and hopefully this will bring it past gold status. 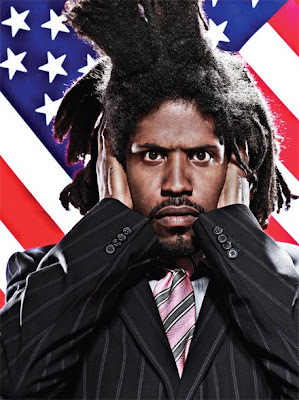 Second video this week from Murs off the Murs For President joint. Don’t sleep. Mike Jones second single off the Voice of the Streets album due out Nov. 11th. This video is sick! The second video from the album sharing the same title. The “Announcement” video was dope as well. I’m a Busta fan but I’m not feeling this one. The track leaked a couple of weeks ago and I was hoping it’ll grow on me but as of right now it’s subpar. Peep the performance with Busta & Spliff. Don’t sleep on Murs. The Murs for President album is nice! This is one of the commercial cuts off the album. My supposed look-a-like drops his first single featuring Luda & Rocko. This is a new joint off underground MC Murs upcoming album Murs For President. The presidential-themed project is receiving heavy promotion and is expected to drop September 30th. Murs doo is easily making him highly recognizable. Peep the track. The Rock the Bells concert took place on August 9th in San Bernardino, CA at the Glen Helen Pavilion. Despite the heat, it was an amazing show and definitely worth it. Peep the full story to get a breakdown of the acts.